We’re feel fortunate that our work sometimes takes us to amazing places. 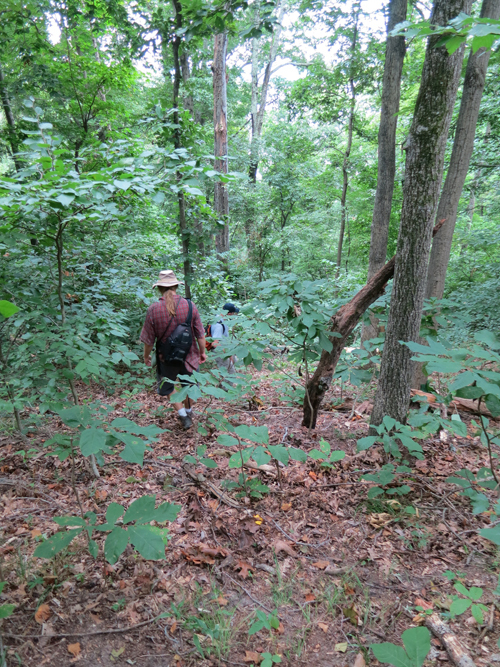 LWLA designer Jenna Webster and project consultant Ian Caton recently spent several days conducting site analysis at a large property in Virginia’s Coastal Plain. Larry Weaner, LWLA’s principal and fearless leader, joined us for part of the visit. 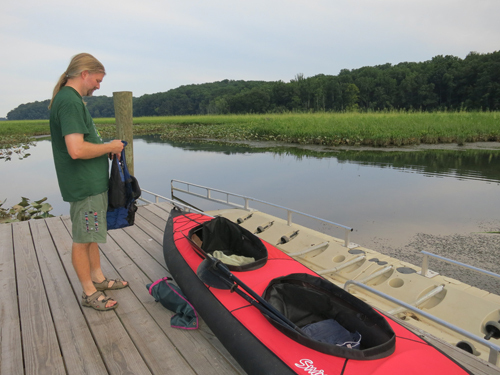 The property includes a 60-acre tidal marsh, which we explored by kayak. (Site analysis by boat is a first for our office!) Kingfishers and Great Blue Heron fished around us as we paddled along. We kept our eyes peeled for beaver and river otter but no sightings, alas (there are beaver lodges in the marsh and ample evidence as to their presence in the nearby wooded areas). 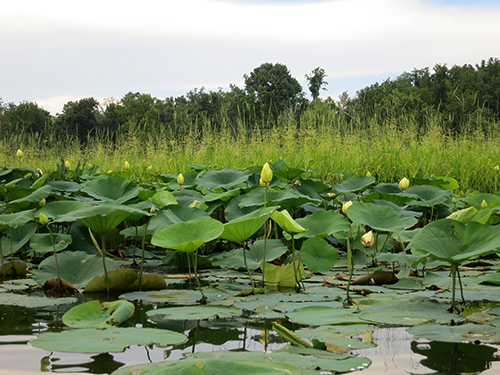 It was a treat to paddle through the marsh’s large expanses of American Lotus and Wild Rice. The contrasting colors and forms of the lotus and the wild rice made for a memorable combination. 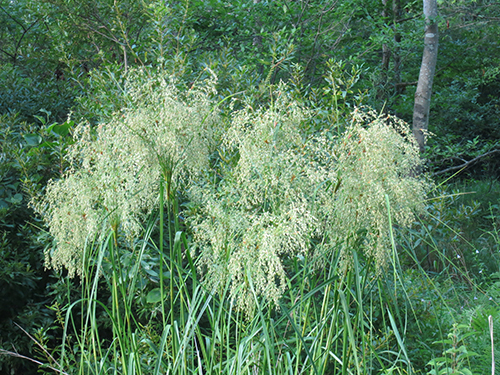 The marsh, which is part of one of the most diverse and intact marshes in the Potomac River drainage, also features hibiscus (Hibiscus moscheutos), wetland rattlesnake master (Eryngium aquaticum), and even the native Phragmites, which a state agency has identified through tissue cultures. 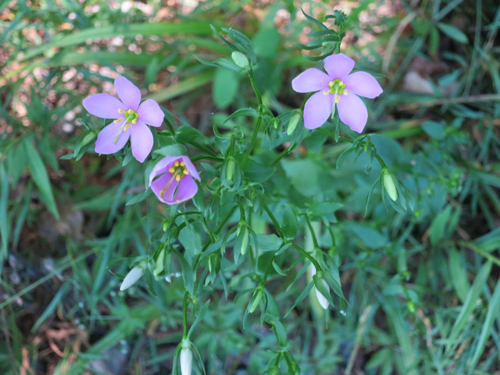 Highlights of sightings in upland areas included milkvine (Matelea gonocarpos), a native plantain, and the biennial rosepink (Sabatia angularis) shown below. Even more common plants like this woolgrass (Scirpus cyperinus) looked stunning at the time of our visit. Truly, this woolgrass could go toe-to-toe with any garden plant. 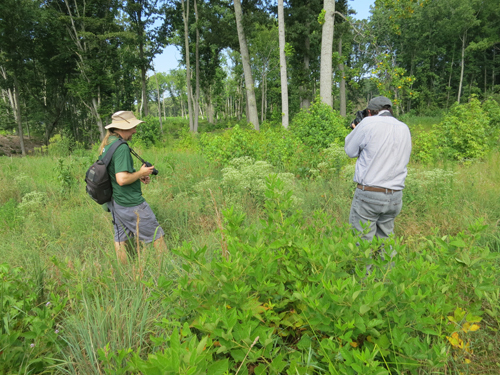 Here Larry and Ian photograph and discuss a Eupatorium growing in part of the site that had been clear cut several years ago and is now in the early stages of succession. 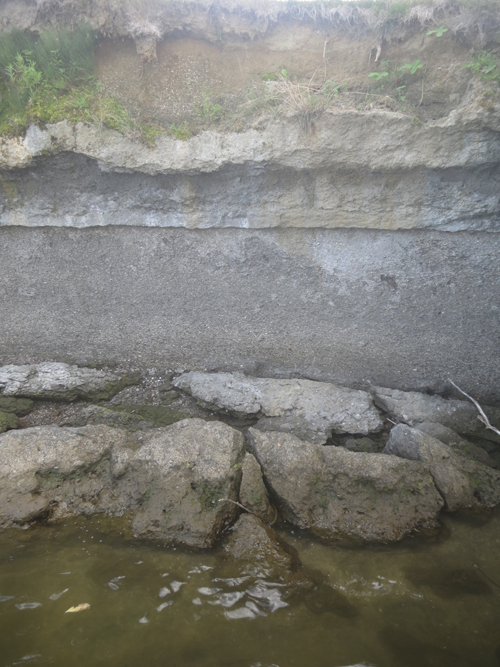 Ancient shell deposits (visible in the gray-ish horizon in the photo below) make for calcareous conditions in the area, giving rise to disjunct plant communities in the otherwise acidic Coastal Plain. Intellectually, this formation is of course interesting, but on a visceral level, it was affecting to see shells from an ancient sea. We kept our eyes peeled for artifacts in these spots of exposed soil profiles but no luck. 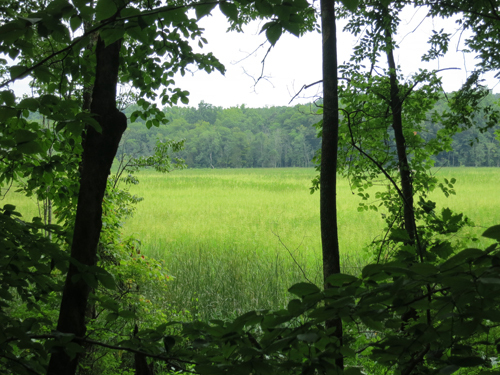 The trip also offered the opportunity to explore a nearby 2,200-acre preserve. The Preserve’s steward generously took us on a 5-hour hike through the preserve, which is not yet open to the public. Old-growth as well as younger sections provided a helpful reference for our project site while the preserve’s steep ravines made for fun exploring. Many of the ravines have not been logged for hundreds of years (and some of the steeper ravines may never have been logged) and so feature some very large trees. 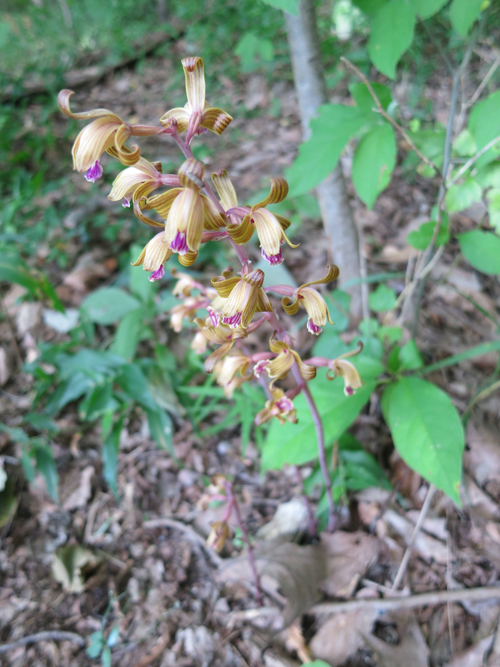 In the preserve we saw more interesting and special plants, including this beautiful spike crested coralroot orchid (Hexalectris spicata). So delicate, so perfect, so exquisite! Site analysis is always instructive but this visit, given the variety of habitats and vegetation we were able to see, made for one of the more special times spent in the field this summer. Now we need to get to work in the office making sense of all our observations!